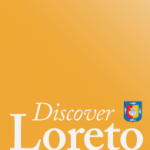 Home » Spotted: Celebrities in Loreto! I don’t normally follow any of Bravo’s Real Housewives series. Admittedly, if they ever created the Real Housewives of San Francisco … I may sneak a peak or two. However, today one of the Orange County Housewives, Gretchen Rossi caught my attention when it was reported that she and her beau Slade Smiley (I am really wondering if this is a stage name), jetted off to Loreto, Baja California Sur in Mexico for a relaxing getaway. 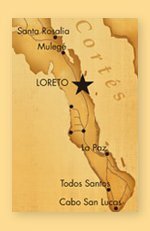 Loreto is a place near and dear to my heart, having fallen in love with in several years ago and ended up building our vacation home there, fondly named Casa del Lagarto Azul (aka “House of the Blue Lizard”). Gretchen and Slade stayed in the Presidential Suite at the newly-opened Villa del Palmar. From the photos I’ve seen, it seems they spent all of their time at the resort which is a bit of a drive down a dirt road a bit south of the town of Loreto, past a guarded gate.